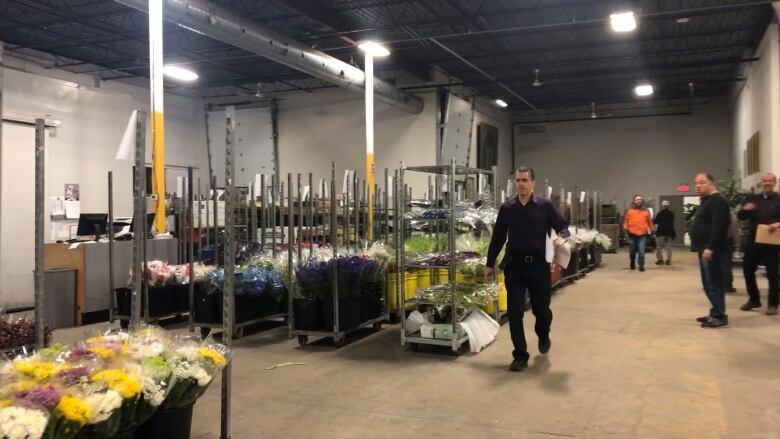 The Montreal flower market uses a unique Dutch auction to sell flowers to florists and garden centres. 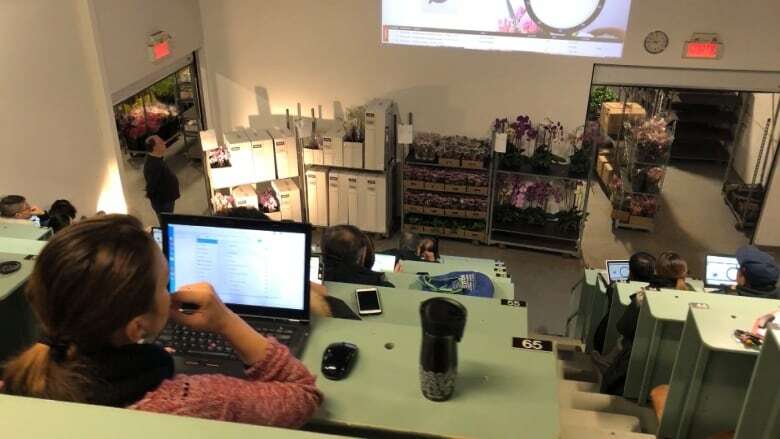 Located inside a bland, concrete warehouse across the street from a hydro-electric corridor in Montreal's Saint-Laurent borough, the market is where fresh-cut flowers arrive in Montreal. There are more than 250,000 flowers up for auction. Tens of thousands of roses alone will be bought by florists to stock their shelves in anticipation of Valentine's Day. Murray Van Egmond, a florist, is at the market to buy Valentine's Day flowers for his Montreal West store. He says in the floral industry, the market is known as "the clock." "It's based on the Dutch reverse auction," says Van Egmond. Van Egmond's auction strategy is to keep an eye on the number of people in the stands to judge what he'll bid. 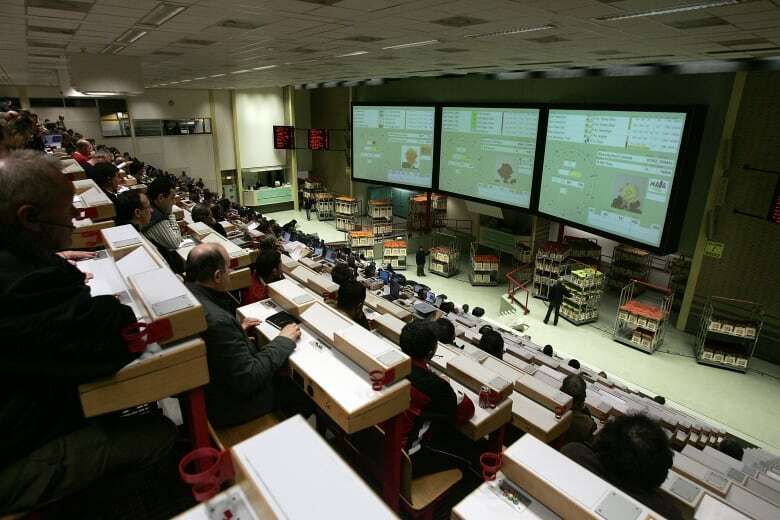 "If there's very few people, then you know that you can be not so worried about paying a high a price," says Van Egmond. 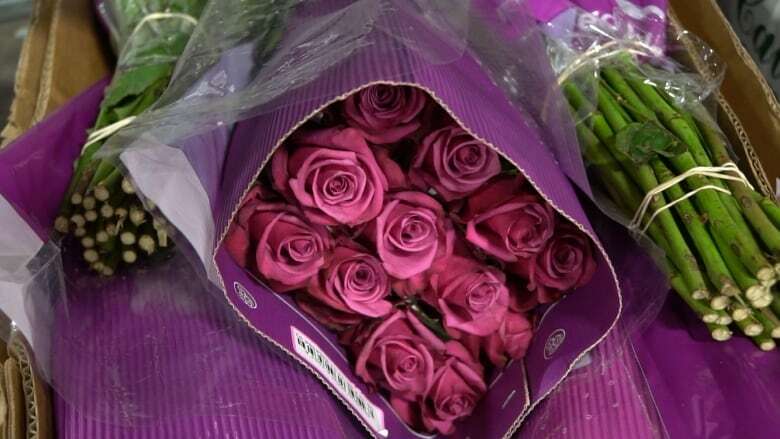 Roses sold for Valentine's Day are mostly grown in South American countries like Ecuador and flown to Miami, then driven by truck to Montreal. "It takes three days to come to Montreal." says Pierre Charbonneau, the market's general manager. Over the last three decades, he's seen the online distribution of flowers grow steadily. 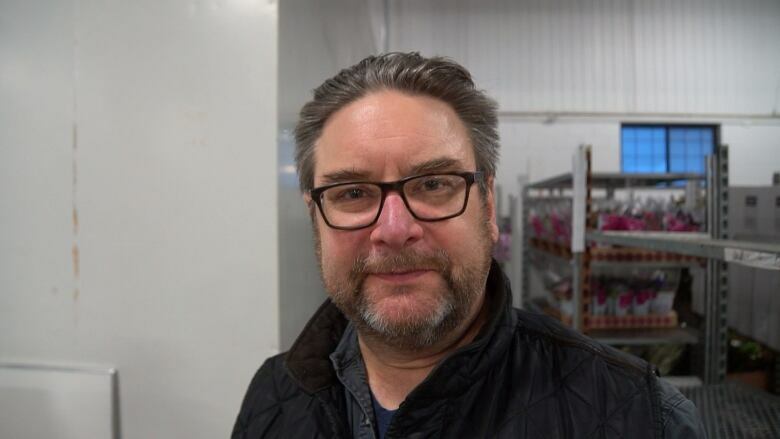 "The younger generation who we were hoping to add to our client base … they go on the internet and buy flowers," says Van Egmond. At the same time, he can't match the prices offered by big box stores such as Costco. However, Van Egmond says what florists like himself can do is make unique arrangements that turn fresh-cut flowers, "into a wonderful masterpiece."